After a long winter, its nearly that time of year again! It's time to open the pool. If you followed the proper procedure for winterizing & you have k ept up with winter maintenance, you should have a smooth opening. Before you get started there are a couple of preliminary steps that need to be taken. The first thing you'll want to do is to drop a hose under the cover in order to bring the water level up high.Once the hose is under the cover you can begin to remove any debris that's on top of the cover. I've found that the easiest way is to use your pool pole and an old nylon brush. 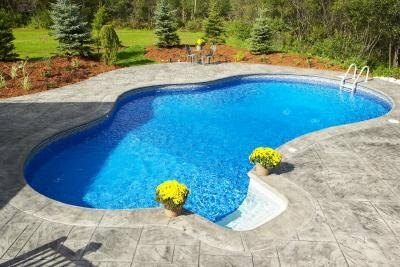 Pull the debris toward you to the edge all the way down the length of the pool. Do NOT drag sharp objects! For your next step you will need an extra set of hands. If you have a safety cover, remove the strap from the anchor. Go around and put all the anchors down first, as you dont want to leave them up and risk tearing your cover. Once all the anchors are screwed down and flush with the deck its time to remove the cover. If you Have a poly cover, empty the water bags. Start on the end that you have the most space. With one person on ech side, pull the cover back the length of one panel if safety, about 2ft if poly. Move up to the next section and pull it backwards and even. You will be making a "fan fold". Once you have done this with the entire cover you will have a stack the length and width of the first section pulled back. You can then start on one end and roll up the cover. If you want to clean the cover first, pull the entire cover back into the yard, then fan fold it after your finished. Your ready to summerize your equipment. Install the plugs into your pump, filter, and plumbing (if flooded system). After the system is ready, remove the plugs from the returns and skimmers. Make sure your filter valve is in the filter position, fill the pump with water & start the system. Once your pump primes, check all around for any leaks. Reinstall your ladder, handrails, baskets, & auto cleaner at this point. Once all of that is complete its time to vacuum and check the chemicals. 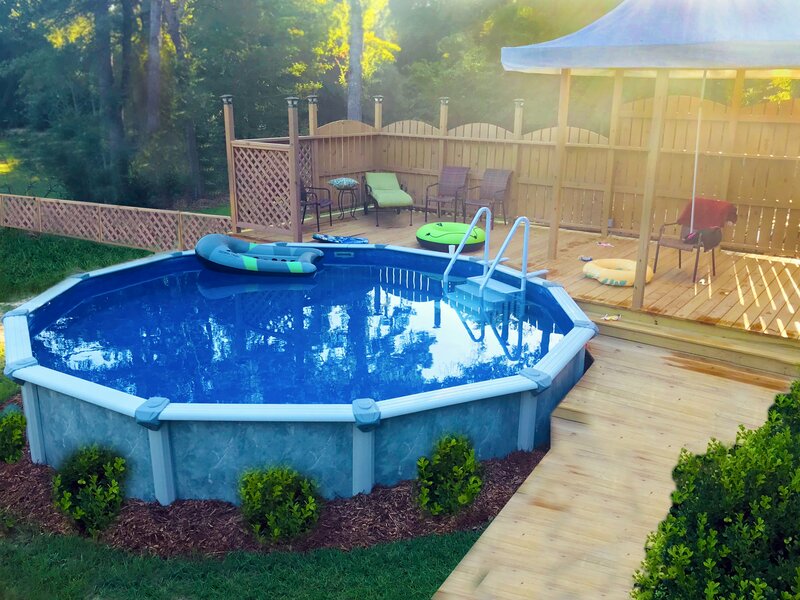 You will want to adjust your ph first, then alkalinity, then chlorine. Remember that even tho you have a salt system, you still have to shock with granular chlorine or a non chlorine oxidizer. If you do have a salt system, turn the control box on and set to super chlorinate. You may need to add salt at this point also. Remember when you add salt to let the system circulate for 24-48 hrs before taking a reading. 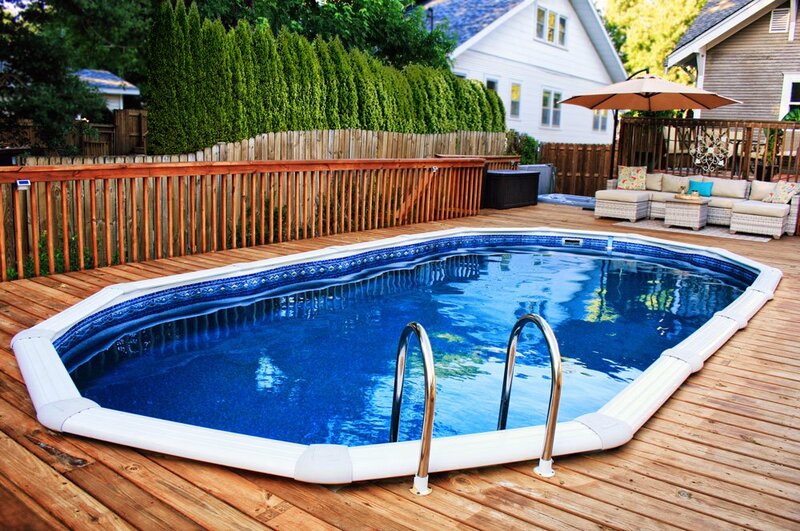 When you add shock to a vinyl liner pool, its best to dilute it with water as not to bleach your liner. Its also best to wait 3o min or so before swimming after shocking.